Myth #2: Home Remedies For Toenail Fungus Will Cure It. We’ve heard various stories ranging from Vicks VapoRub and Listerine, to bleach and vinegar. The reality is that none of these alleged “remedies for toenail fungal infection” actually work. Podiatrist Zachary L. Chattler from John Hopkins says that all these “cures” are myths. Even many of the over-the-counter topical products you see in stores do not work on nail fungus, he adds. Myth #3: Toenail Fungus Will Go Away On Its Own. If left untreated, toenail fungus can spread to your fingernails and skin. The fungus can weaken the nail bed and cause the toenail to fall off in some cases. “What happens over time is that the fungus breeds in the nail tissue and goes from being just a little bit on the nail, to a really discolored and thickened nail, to a nail that is totally embedded with fungus,” says Marlene Reid, a podiatrist and spokesperson for the American Podiatric Medical Association. For people with diabetes or circulatory disorders, a fungus nail can become an entry-point for infection to get into the body and cause an ulcer. Myth #4: The Nail Must Be Removed To Get Rid Of The Fungus. Rarely is the toenail ever removed as part of treatment. The nail serves as a protective layer, keeping germs out of the body, so it’s preferable to keep this line of defense in tact. Sometimes a podiatrist will do what is called “nail debridement” and cut a small portion of the infected nail off. More often than not, you’ll be prescribed oral pills or offered laser treatment for fungal nails. Myth #5: Toenail Fungus Can’t Be Cured. While it is true that it can be difficult to eradicate toenail fungus once and for all, it is absolutely untrue that it’s incurable. 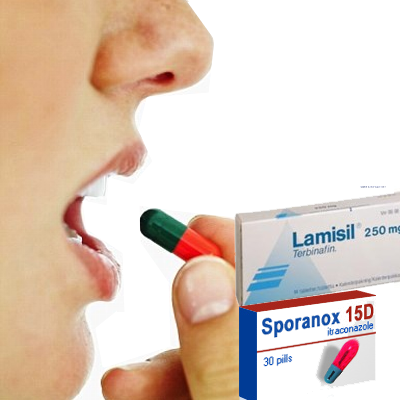 For most people, following the full course of antifungal pills will kill the fungus. From there, you will have to wait for the nail to grow out to see 100% improvement. You will also need to disinfect all toenail clippers, wash your socks with scalding water and bleach, and disinfect your shoes. Some truly fantastic blog posts on this site — appreciate it. Thanks for reading and sharing your insight!